A startup that aims to create “an ever-expanding line of wearable tech that goes beyond simple NFC” is seeking crowdfunding to produce an NFC-enabled clothing range. 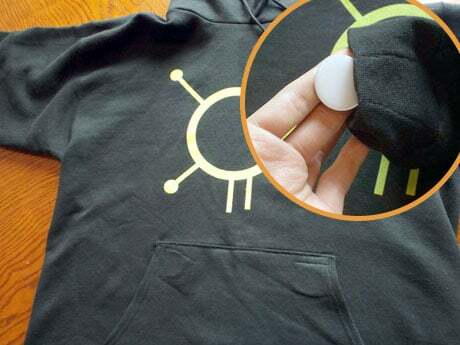 Zuzance’s first products are a US$50 hoodie that contains four Broadcom Topaz NFC tags and a US$15 armband containing a single NFC tag. Each of the waterproof tags can be programmed to trigger different actions in NFC devices, from turning off the WiFi on an NFC phone to programming the satnav in a car. The combination of actions can be changed depending on each individual’s needs, Zuzance says.